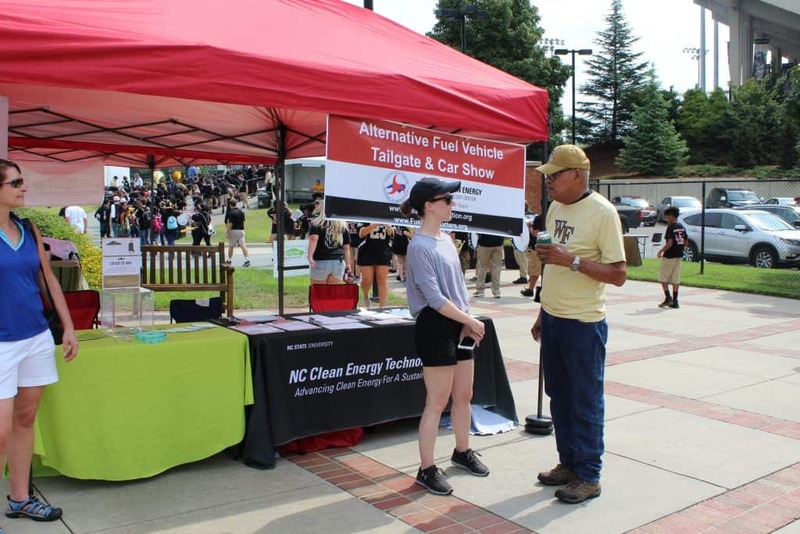 Last weekend, the NC Clean Energy Technology Center’s Clean Transporation team kicked off National Drive Electric Week with an Alternative Fuel Vehicle Demonstration & Tailgate for the Wake Forest University vs. Towson State University football home opener game! 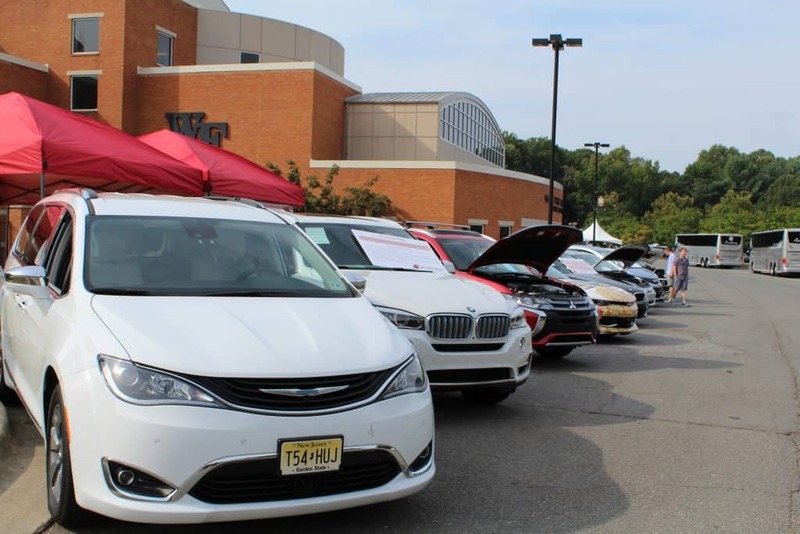 The kickoff events started on Friday, September 7 with the driver meet-up and car show. 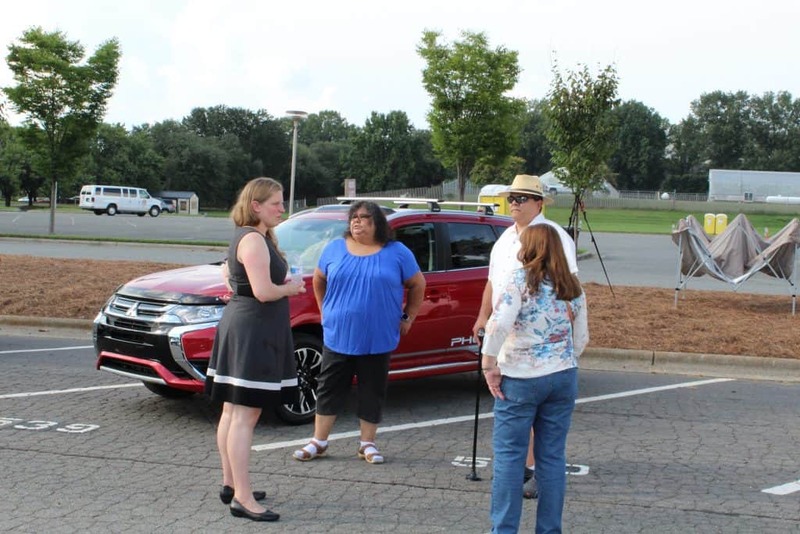 Several plug-in electric vehicles and hybrids were on display for guests to check out, and members of the Clean Transporation team, Heather Brutz, Rick Sapienza, Allison Carr and John Bonitz, answered visitor’s questions about alternative fuels. 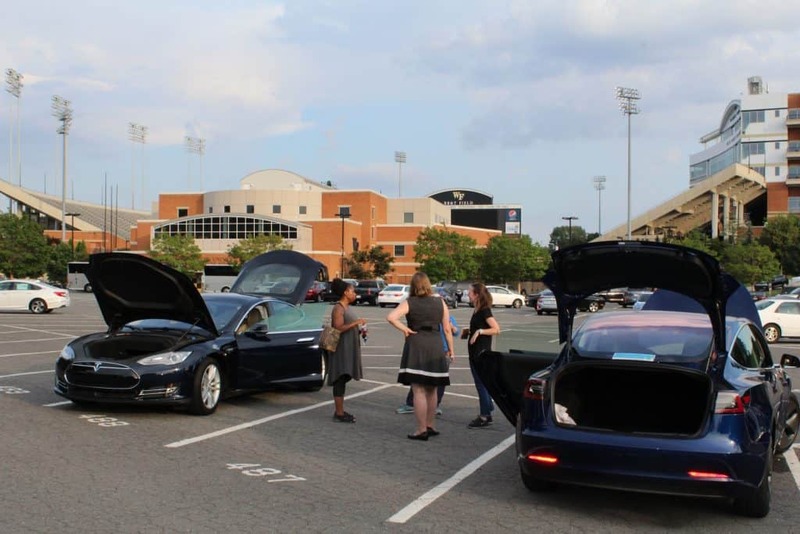 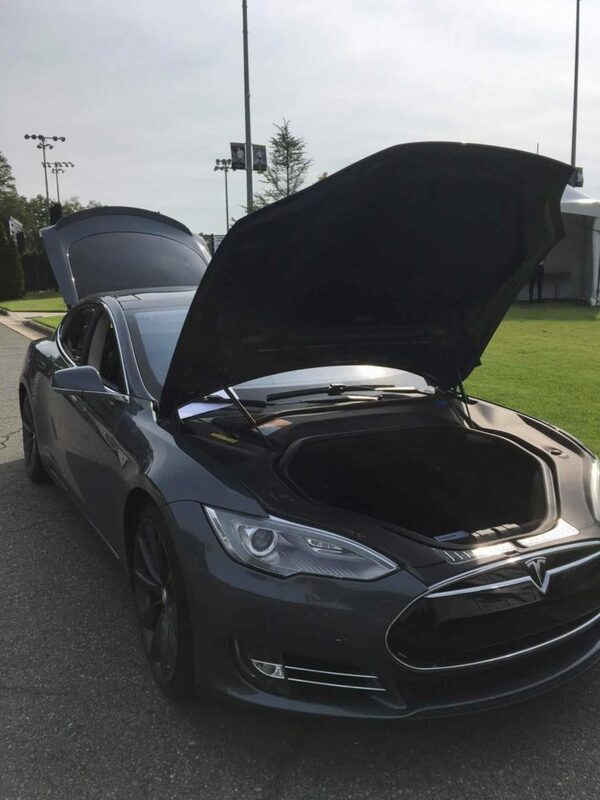 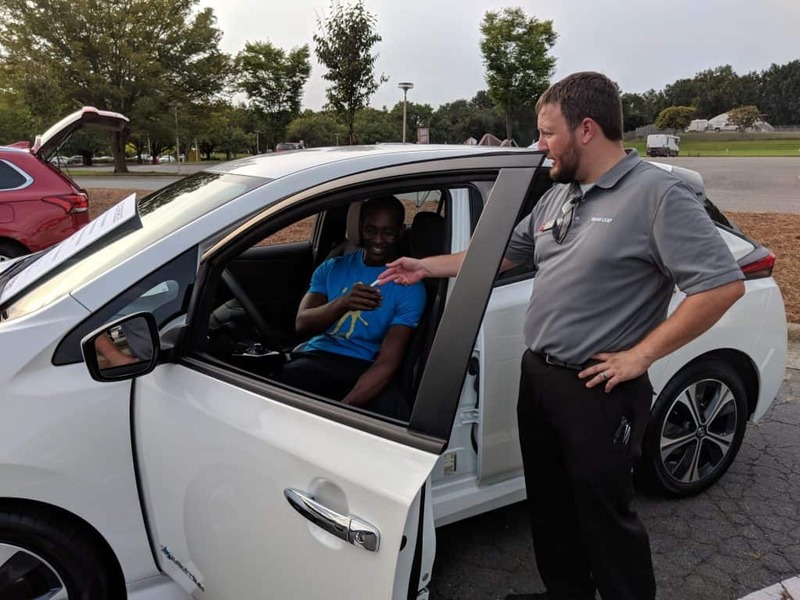 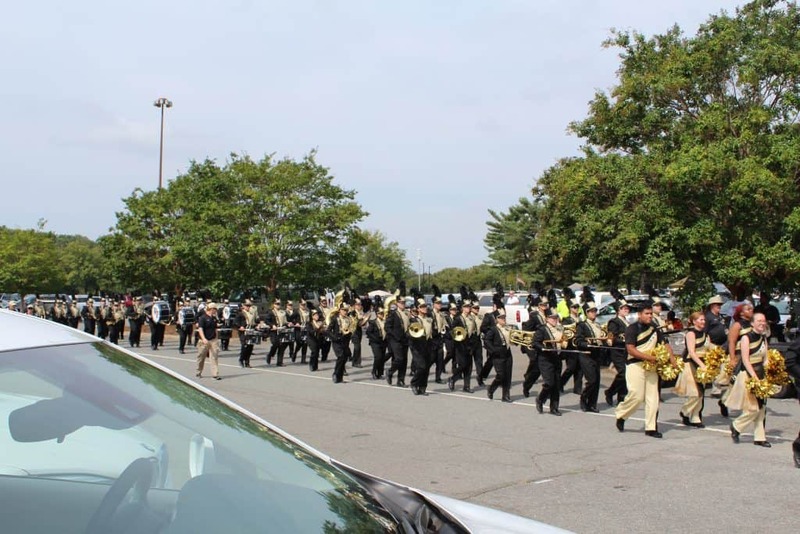 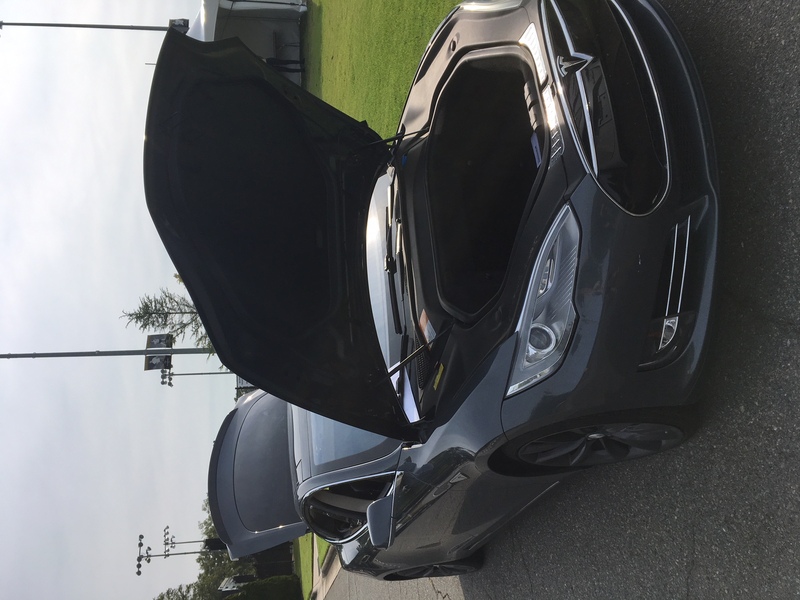 Saturday, September 8 was game day in Winston-Salem, where a long line-up of plug-in vehicles and a biofuel vehicle were displayed, including brands and names such as BMW, Mitsubishi, Volt and Bolt, and Tesla. 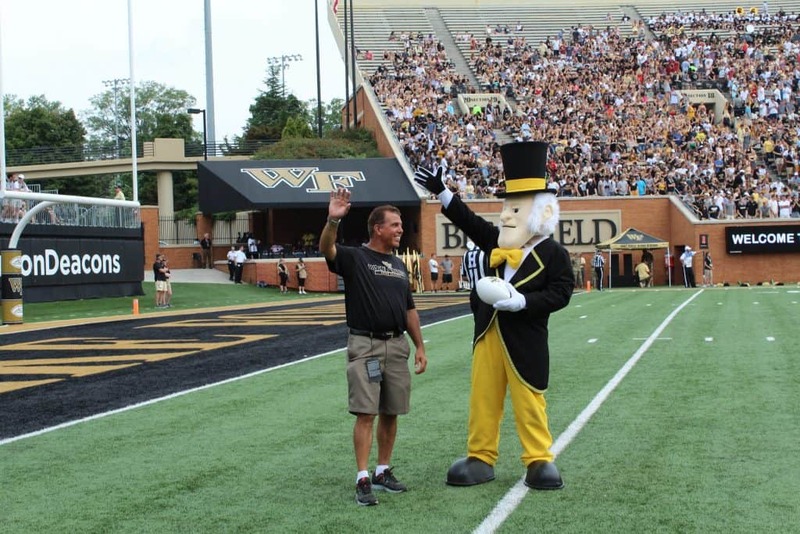 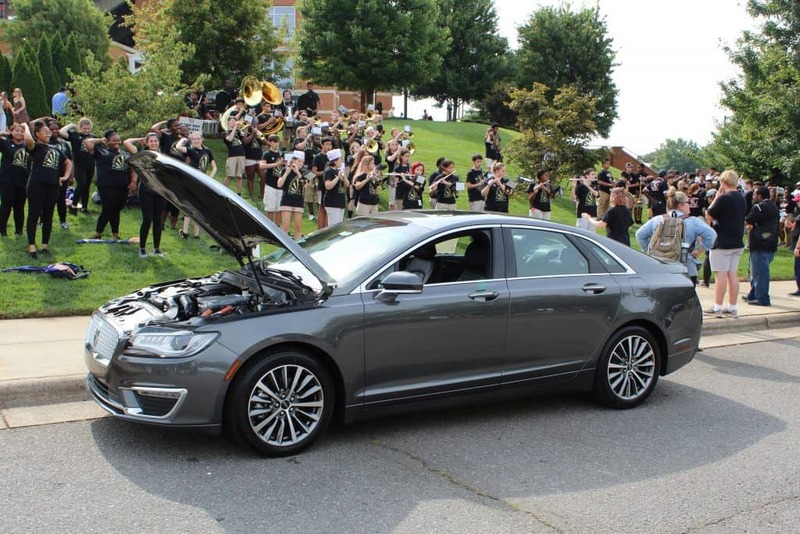 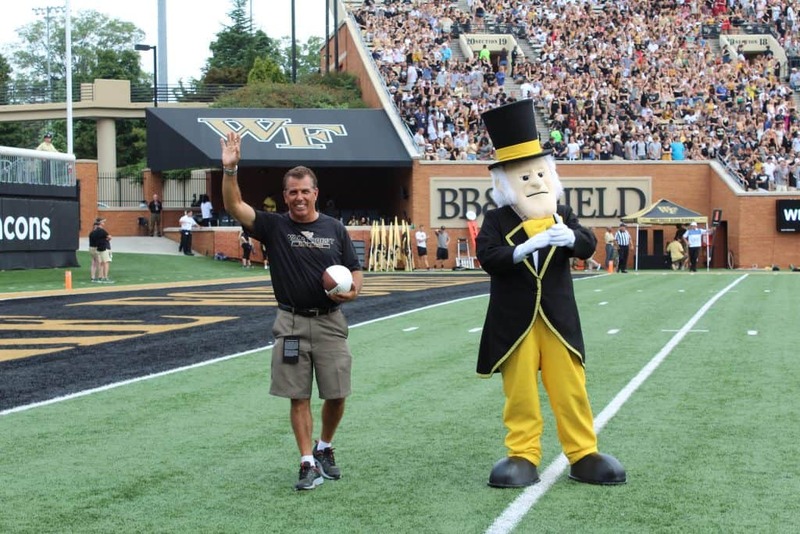 Clean Transportation Director Rick Sapienza accepted the game ball from Wake Forest’s mascot the Demon Deacon and spoke in a live radio interview to discuss alternative fuels, the Center and what it does (listen here). 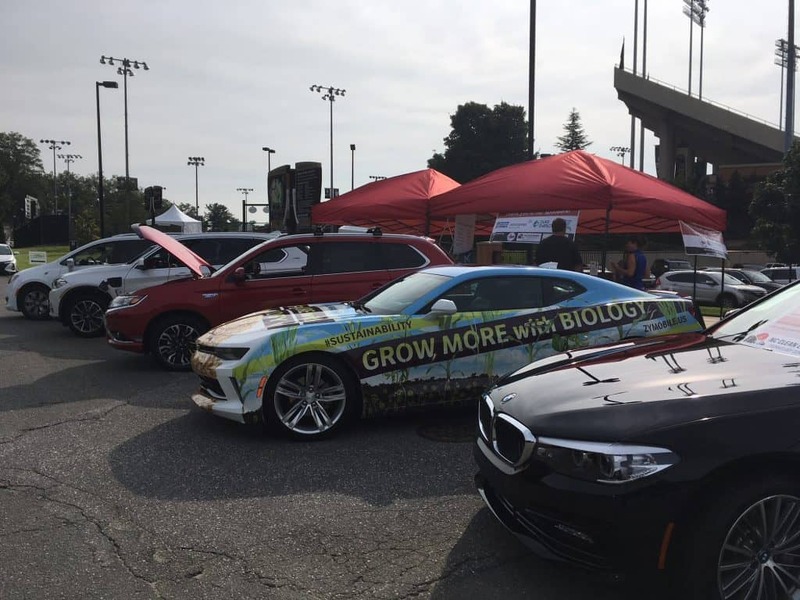 The next and final Alternative Fuel Vehicle Demonstration & Tailgate will be September 28 and 29 at the NC State University vs. Virginia Cavaliers football game! 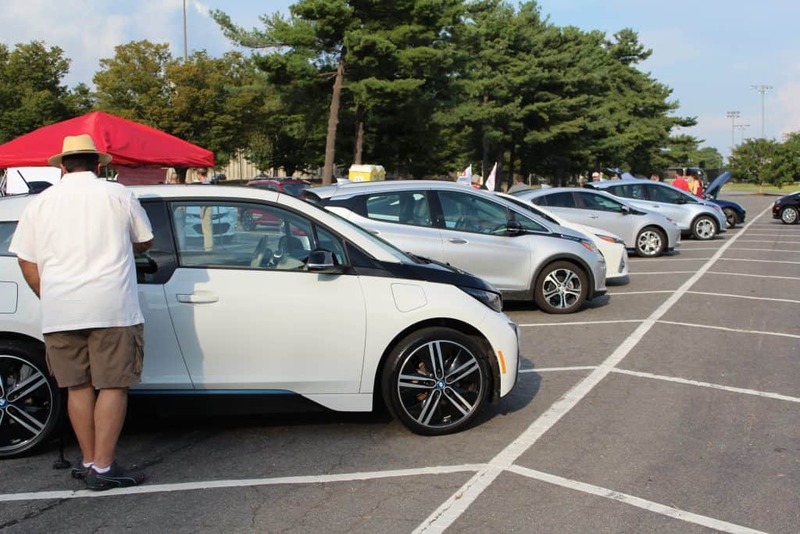 Come check out a line-up of some of the latest plug-in electric vehicles and other alternative fuel vehicles. 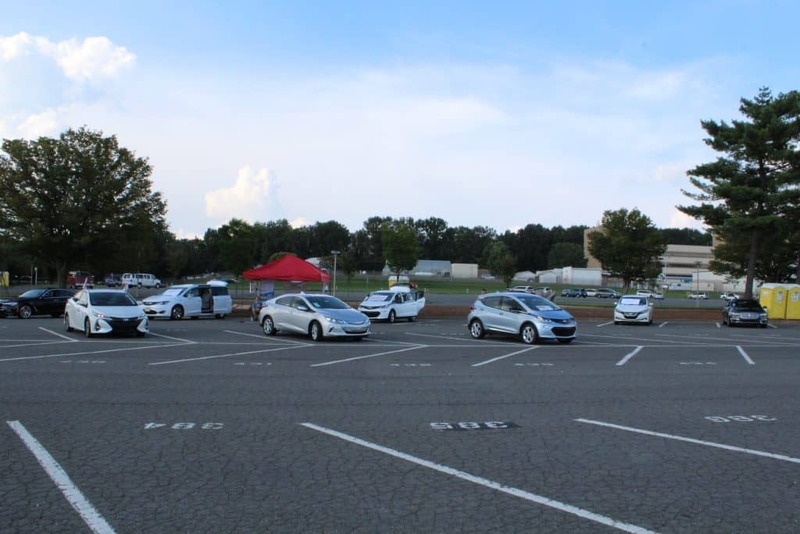 Learn more and register for the event now here!